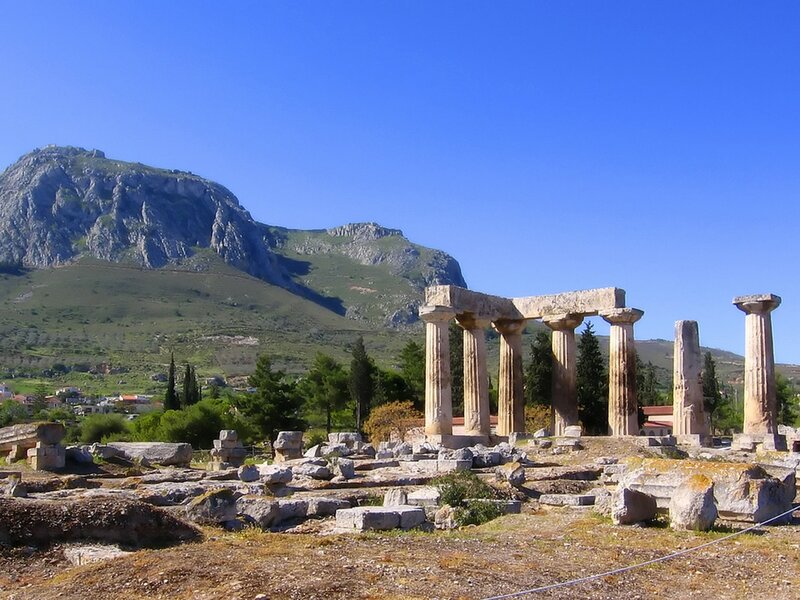 In ancient times Corinth was a major city-state (polis) of Greece, with a population of 90.000 in 400 BC. 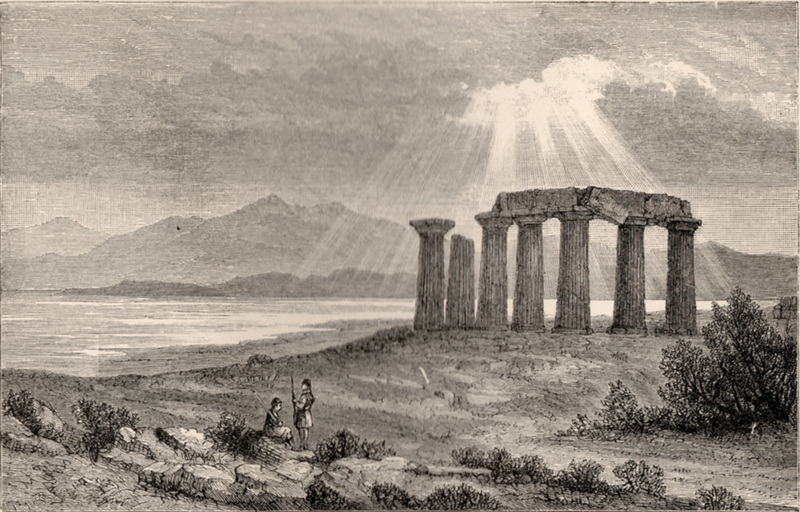 Corinth boasted a forum larger than Rome's shops, fountains and other public buildings, including the grand Temple of Apollo. It is located by the Isthmus of Corinth, the narrow stretch of land that joins the Peloponnese to the mainland of Greece, roughly halfway between Athens and Sparta. Modern Corinth is located 5 km (3.1 mi) northeast of the ruins of the ancient city. The ruins of the Temple of Apollo, Ancient Corinth. ​Since 1896, systematic archaeological excavations have revealed large parts of the ancient city, and have brought to light important new facets of antiquity including neolithic pottery findings which suggest that the site of Corinth was inhabited from at least as early as 6500 BC, and continually occupied into the Early Bronze Age, when, it has been suggested, the settlement acted as a center of trade. However, through a dramatic drop in ceramic remains it appears that the area was very sparsely inhabited in the period immediately before the Mycenaean period. There was a settlement on the coast near Lechaion which traded across the Corinthian Gulf; the site of Corinth itself was likely not heavily occupied again until around 900 BC, when it is believed that the Dorians settled there. According to the myth, the city was founded by Corinthos, a descendant of the god Helios (the Sun), while other myths suggest that it was founded by Ephyra, a daughter of the Titan Oceanus, thus the ancient name of the city (also Ephyra). There is evidence that the city was destroyed around 2,000 BC. It seems likely that Corinth was also the site of a Bronze Age Mycenaean palace-city, like Mycenae, Tiryns, or Pylos. According to myth, Sisyphus was the founder of a race of ancient kings at Corinth. It was also in Corinth that Jason, the leader of the Argonauts, abandoned Medea. The Corinthians participated in the Trojan War, as portrayed in the Iliad, under the leadership of Agamemnon. In a Corinthian myth recounted to historian Pausanias in the 2nd century AD, Briareus, one of the Hecatonchires, was the arbitrator in a dispute between Poseidon and Helios, (the sea and the sun). His verdict was that the Isthmus of Corinth belonged to Poseidon and the acropolis of Corinth (Acrocorinth) belonged to Helios. Thus, Greeks of the Classical age accounted for the archaic cult of the sun-titan in the highest part of the site. The Upper Peirene spring is located within the walls of the acropolis. They say that the spring, which is behind the temple, was the gift of Asopus to Sisyphus so that the later would give information relating to Aegina, the daughter of Asopus, ravished by Zeus. The Bacchiadae were a tightly-knit Doric clan and the ruling kinship group of archaic Corinth in the 8th and 7th centuries BC, a period of expanding Corinthian power. Circa 747 BC, an aristocratic revolution ousted the Bacchiad kings, when the royal clan of Bacchiadae, numbering perhaps a couple of hundred adult males, took power from the last king Telestes. They dispensed with kingship and ruled as a group, governing the city by annually electing a prytanis (who held the kingly position for his brief term), probably a council and a polemarchos to head the army. During Bacchiad rule from 747 to 650 BC, Corinth became a unified state. Large scale public buildings and monuments were constructed at this time. In 733 BC, Corinth established colonies at Corcyra and Syracuse. By 730 BC, Corinth emerged as a highly advanced Greek city with at least 5,000 people. In 657 BC, polemarch Cypselus obtained an oracle from Delphi which he interpreted to mean that he should rule the city. He seized power and exiled the Bacchiadae. Cypselus or Kypselos was the first tyrant of Corinth in the 7th c. BC. From 658–628 BC, he ruled for three decades. He built temples to Apollo and Poseidon. The Apollo Temple has been built in Doric style on the ruins of earlier temple, being a good example of peripteral temple, supported by 38 columns, only 7 of which are still in place. The archaeological site at Corinth. Cypselus was the son of Eëtion and a disfigured woman named Labda. He was a member of the Bacchiad kin and usurped the power in archaic matriarchal right of his mother. According to Herodotus, the Bacchiadae heard two prophecies from the Delphic oracle that the son of Eëtion would overthrow their dynasty, and they planned to kill the baby once he was born. However, the newborn smiled at each of the men sent to kill him, and none of them could bear to strike the blow. Labda then hid the baby in a chest, richly worked and adorned with gold, and the men could not find him once they had composed themselves and returned to kill him. Cypselus grew up and fulfilled the prophecy. Corinth had been involved in wars with Argos and Corcyra, and the Corinthians were unhappy with their rulers. Cypselus was polemarch at the time (around 657 BC), the archon in charge of the military, and he used his influence with the soldiers to expel the king. He also expelled his other enemies, but allowed them to set up colonies in northwestern Greece. He also increased trade with the colonies in Italy and Sicily. He was a popular ruler and, unlike many later tyrants, he did not need a bodyguard and died a natural death. He ruled for thirty years and was succeeded as tyrant by his son Periander in 627 BC. The treasury that Cypselus built at Delphi was apparently still standing in the time of Herodotus, and the chest of Cypselus was seen by Pausanias at Olympia in the 2nd century AD. Periander was considered one of the Seven Wise Men of Greece. During his reign, the first Corinthian coins were struck. He was the first to attempt to cut across the Isthmus to create a seaway between the Corinthian and the Saronic Gulfs. He abandoned the venture due to the extreme technical difficulties that he met, but he created the Diolkos instead (a stone-built overland ramp). The era of the Cypselids was Corinth's golden age, and ended with Periander's nephew Psammetichus, named after the hellenophile Egyptian Pharaoh Psammetichus I. Periander killed his wife Melissa. His son Lycopron found out and shunned him, and Periander exiled the son to Corcyra. Periander later wanted Lycopron to replace him as ruler of Corinth, and convinced him to come home to Corinth on the condition that Periander go to Corcyra. The Corcyreans heard about this and killed Lycophron to keep away Periander. Just before the classical period, according to Thucydides, the Corinthians developed the trireme which became the standard warship of the Mediterranean until the late Roman period. Corinth fought the first naval battle on record against the Hellenic city of Corcyra. The Corinthians were also known for their wealth due to their strategic location on the isthmus, through which all land traffic had to pass en route to the Peloponnese, including messengers and traders. In classical times, Corinth rivaled Athens and Thebes in wealth, based on the Isthmian traffic and trade. Until the mid-6th century, Corinth was a major exporter of black-figure pottery to city-states around the Greek world, later losing their market to Athenian artisans. In classical times and earlier, Corinth had a temple of Aphrodite, the goddess of love, employing some thousand hetairas (temple prostitutes). The city was renowned for these prostitutes, who served the wealthy merchants and the powerful officials who frequented the city. Lais, the most famous hetaira, was said to charge tremendous fees for her extraordinary favors. Referring to the city's exorbitant luxuries, Horace is quoted as saying: "non licet omnibus adire Corinthum" ("Not everyone is able to go to Corinth"). The city had two main ports: to the west on the Corinthian Gulf lay Lechaion, which connected the city to its western colonies (Greek: apoikoiai), while to the east on the Saronic Gulf the port of Kechreai served the ships coming from Athens, Ionia, Cyprus and the Levant. Both ports had docks for the city's large navy. In the years 481–480 BC, the Conference at the Isthmus of Corinth established the Hellenic League, which allied under the Spartans to fight the war against Persia. Corinth was a major participant in the Persian Wars, sending 400 soldiers to defend Thermopylae and supplying forty warships for the Battle of Salamis and 5,000 hoplites with their characteristic Corinthian helmets in the following Battle of Plataea. Following the Battle of Thermopylae and the subsequent Battle of Artemisium, which resulted in the captures of Euboea, Boeotia, and Attica, the Greco-Persian Wars were at a point where now most of mainland Greece to the north of the Isthmus of Corinth had been overrun. In 435 BC, Corinth and its colony Corcyra went to war over Epidamnus. In 433 BC, Athens allied with Corcyra against Corinth. The Corinthian war against the Corcyrans was the largest naval battle between Greek city states until that time. In 431 BC, one of the factors leading to the Peloponnesian War was the dispute between Corinth and Athens over Corcyra, which probably stemmed from the traditional trade rivalry between the two cities. Three Syracusan generals went to Corinth seeking allies against Athenian invasion. The Corinthians "voted at once to aid [the Syracusans] heart and soul". They also sent a group to Lacedaemon to rouse Spartan assistance. After a convincing speech from the Athenian renegade Alcibiades, the Spartans agreed to send troops to aid the Sicilians. In 404 BC, Sparta refused to destroy Athens, angering the Corinthians. Corinth joined Argos, Boeotia, and Athens against Sparta in the Corinthian War. Demosthenes later used this history in a plea for magnanimous statecraft, noting that the Athenians of yesteryear had had good reason to hate the Corinthians and Thebans for their conduct during the Peloponnesian War, yet they bore no malice whatever. In 395 BC after the end of the Peloponnesian War, Corinth and Thebes, dissatisfied with the hegemony of their Spartan allies, moved to support Athens against Sparta in the Corinthian War. As an example of facing danger with knowledge, Aristotle used the the Argives who were forced to confront the Spartans in the battle at the Long Walls of Corinth in 392 BC. In 379 BC, Corinth, switching back to the Peloponnesian League, joined Sparta in an attempt to defeat Thebes and eventually take over Athens. In 366 BC, the Athenian Assembly ordered Chares to occupy the Athenian ally and install a democratic government. This failed when Corinth, Phlius and Epidaurus allied with Boeotia. Demosthenes recounts how Athens had fought the Spartans in a great battle near Corinth. The city decided not to harbor the defeated Athenian troops, but instead sent heralds to the Spartans. But the Corinthian heralds opened their gates to the defeated Athenians and saved them. These conflicts further weakened the city-states of the Peloponnese and set the stage for the conquests of Philip II the Macedon. Demosthenes warned that Philip’s military force exceeded that of Athens and thus they must develop a tactical advantage. He noted the importance of a citizen army as opposed to one of mercenaries, citing the mercenaries of Corinth who fought alongside citizens and defeated the Spartans. In 338 BC, having defeated Athens and its allies, Philip II created the League of Corinth to unite the Greeks, including Corinth, in a war against Persia. Philip was named hegemon of the League. In spring of 337 BC, the Second congress of Corinth established the Common Peace. By 332 BC, Alexander the Great was in control of Greece. During the Hellenistic period, Corinth, like many other Greece cities, never quite had autonomy. Under the successors of Alexander Greece was contested ground, and Corinth was occasionally the battleground for contests between the Antigonids, based in Macedonia, and other Hellenistic powers. In 308 BC, the city was captured from the Antigonids by Ptolemy I, who claimed to come as a liberator of Greece from the Antigonids. The city was recaptured by Demetrius in 304 BC, however. Corinth remained in Antigonid control for half a century. After 280 BC it was ruled by the faithful governor Craterus, but in 253/2 BC his son Alexander of Corinth, moved by Ptolemaic subsidies, resolved to challenge the Macedonian supremacy and seek independence as a tyrant. He was probably poisoned in 247 BC and after his death the Macedonian king Antigonus II Gonatas retook the city in the winter of 245/44 BC. The Macedonian rule was short-lived. In 243 BC Aratus of Sicyon, using a surprise attack, captured the fortress of Acrocorinth and convinced the citizens to join the Achaean League. Thanks to an alliance agreement with Aratus, the Macedonians recovered Corinth once again in 224 BC, but after the Roman intervention in 197 BC the city was permanently brought into the Achaean League. Under the leadership of Philopoemen the Achaeans went on to take control of the entire Peloponnese and made Corinth the capital of their confederation. In 146 BC, Rome declared war on the Achaean League and, after victories over league forces in the summer of that year, the Romans under Lucius Mummius besieged and captured Corinth. When he entered the city, Mummius put all the men to the sword and sold the women and children into slavery before torching the city, for which he was given the cognomen Achaicus as the conqueror of the Achaean League. 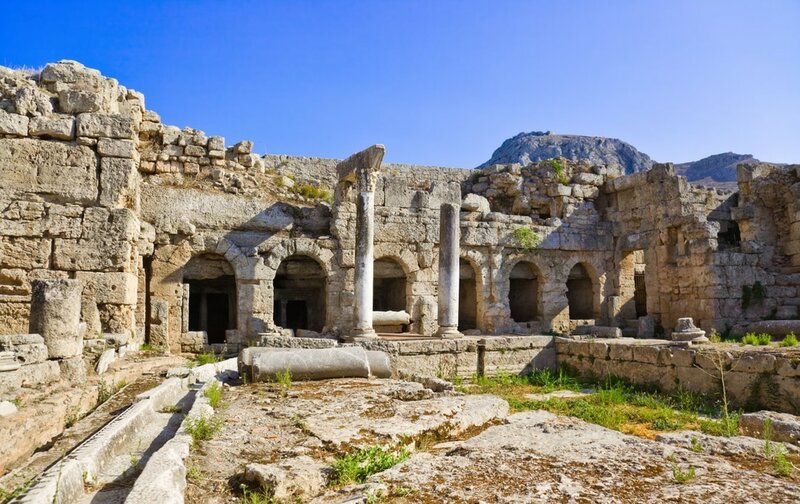 There is archaeological evidence of some minimal habitation in the years afterwards, but Corinth remained largely deserted until Julius Caesar re-founded the city in 44 BC, shortly before his assassination. Under the Romans, Corinth was rebuilt as a major city in Southern Greece or Achaia with a large mixed population of Romans, Greeks, and Jews. 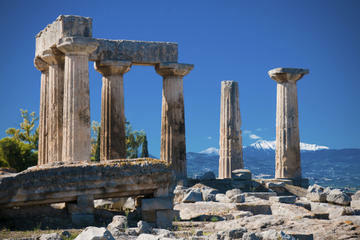 For Christians, Corinth is known from the two letters of Saint Paul in the New Testament, First and Second Corinthians. Corinth is mentioned many times in the New Testament, largely in connection with Paul the Apostle's mission there, testifying to the success of Caesar's re-founding of the city. Traditionally, the Church of Corinth is believed to have been founded by Paul, making it an Apostolic See. Paul first visited the city in 51 or 52 AD, when Gallio, the brother of Seneca, was proconsul of Achaia. 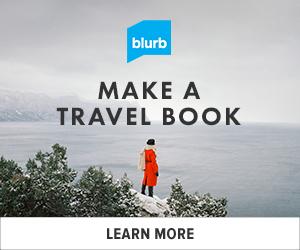 Paul resided here for eighteen months. He became acquainted with Priscilla and Aquila with whom he later traveled. They worked here together as tent-makers (from which is derived the modern Christian concept of tent-making), and regularly attended the synagogue. Silas and Timothy rejoined Paul here, having last seen him in Berea. Acts 18:6 suggests that Jewish refusal to accept his preaching here led Paul to resolve no longer to speak in the synagogues where he traveled: 'From now on I will go to the Gentiles'. However, on his arrival in Ephesus, the narrative records that Paul went to the synagogue to preach. Paul wrote at least two epistles to the Christian church, the First Epistle to the Corinthians (from Ephesus) and the Second Epistle to the Corinthians (from Macedonia). The first Epistle occasionally reflects the conflict between the thriving Christian church and the surrounding community. Some scholars believe that Paul visited Corinth for an intermediate "painful visit" between the first and second epistles. After writing the second epistle, he stayed in Corinth for about three months in the late winter, and there wrote his Epistle to the Romans. Based on clues within the Corinthian epistles themselves, some scholars have concluded that Paul wrote possibly as many as four epistles to the church at Corinth, yet only two are contained within the Canon of Holy Scripture; the other two letters are lost. Many scholars think that the third one, known as the "letter of the tears", is included in the canonical Second Epistle to the Corinthians. This letter is not to be confused with the so-called "Third Epistle to the Corinthians", which is a pseudepigraphical letter written years after the death of Paul. The city was largely destroyed in the earthquakes of 365 A.D. and 375 A.D., followed by Alaric's invasion in 396. It was rebuilt after these disasters on a monumental scale, but covered a much smaller area than previously. Four churches were located in the city proper, another on the citadel of the Acrocorinth, and a monumental basilica at the port of Lechaion. During the reign of Emperor Justinian I (527–565), a large stone wall was erected from the Saronic to the Corinthian gulfs, protecting the city and the Peloponnese peninsula from the barbarian invasions from the north. The stone wall was about six miles (10 km) long and was named Hexamilion ("six-miles"). Corinth declined from the 6th century on, and may even have fallen to barbarian invaders in the early 7th century. The main settlement moved from the lower city to the Acrocorinth. Despite its becoming the capital of the theme of Hellas and, after ca. 800, of the theme of the Peloponnese, it was not until the 9th century that the city began to recover, reaching its apogee in the 11th and 12th centuries, when it was the site of a flourishing silk industry. In November 856, an earthquake in Corinth killed an estimated 45,000. The wealth of the city attracted the attention of the Sicilian Normans under Roger of Sicily, who plundered it in 1147, carrying off many captives, most notably silk weavers. The city never fully recovered from the Norman sack. Following the sack of Constantinople by the Fourth Crusade, a group of Crusaders under the French knights William of Champlitte and Geoffrey of Villehardouin carried out the conquest of the Peloponnese. The Corinthians resisted the Frankish conquest from their stronghold in Acrocorinth, under the command of Leo Sgouros, from 1205 until 1210. 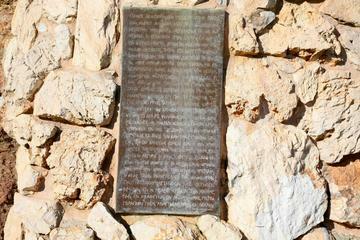 In 1208 Leo Sgouros killed himself by riding off the top of Acrocorinth, but resistance continued for two more years. In 1210 the fortress fell to the Crusaders, and Corinth became a full part of the Principality of Achaea, governed by the Villehardouins from their capital in Andravida in Elis. Corinth was the last significant town of Achaea on its northern borders with another crusader state, the Duchy of Athens. The Ottomans captured the city in 1395. The Byzantines of the Despotate of the Morea recaptured it in 1403, and the Despot Theodore II Palaiologos, restored the Hexamilion wall across the Isthmus of Corinth in 1415. In 1458, the Turks conquered the city and its mighty castle, renamed it Gördes, and made it a district center within the Rumelia Eyalet. The Venetians captured the city in 1687 during the Morean War, and it remained under Venetian control until the Ottomans retook the city in 1715. Corinth was the capital of the Mora Eyalet in 1715–1731 and then again a district capital until 1821. During the Greek War of Independence, the city was destroyed by the Turkish forces. The city was officially liberated in 1832 after the Treaty of London. In 1833, the site was considered among the candidates for the new capital city of the recently founded Kingdom of Greece, due to its historical significance and strategic position. However, Nafplio was chosen initially, then Athens. In 1858, the village surrounding the ruins of Ancient Corinth was totally destroyed by an earthquake, leading to the establishment of New Corinth 3 km (1.9 mi) NE of the ancient city. Acrocorinth, the acropolis of ancient Corinth, is a monolithic rock that was continuously occupied from archaic times to the early 19th century. The city's archaic acropolis, already an easily defensible position due to its geomorphology, was further heavily fortified during the Byzantine Empire as it became the seat of the strategos of the district (thema) of Greece. Later it was a fortress of the Franks after the Fourth Crusade, the Venetians and the Ottoman Turks. With its secure water supply, Acrocorinth's fortress was used as the last line of defense in southern Greece because it commanded the isthmus of Corinth, repelling foes from entry into the Peloponnese. Three circuit walls formed the man-made defense of the hill. The highest peak on the site was home to a temple to Aphrodite which was turned into a Christian church, and then became a mosque. The American School began excavations on it in 1929. Currently, Acrocorinth is one of the most important medieval castle sites of Greece. 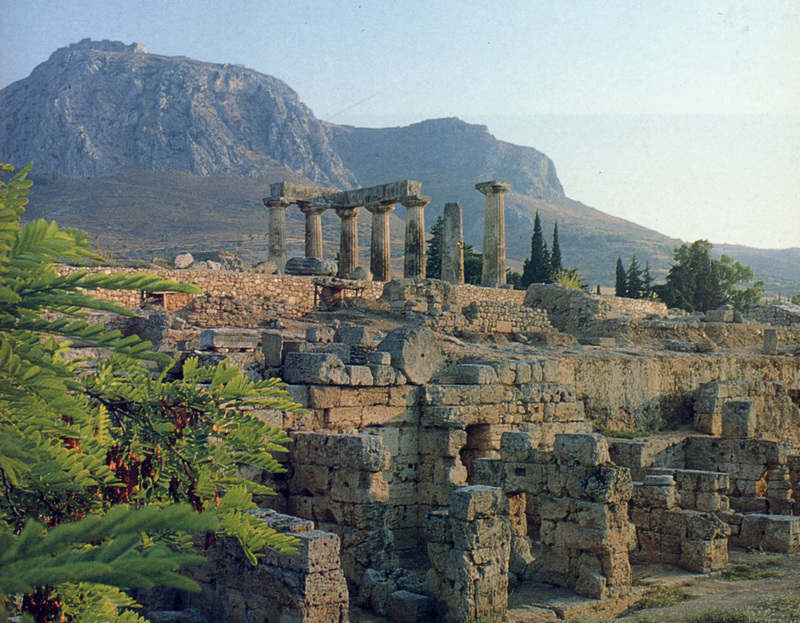 A private, full-day, shore excursion to Ancient Corinth from Athens. during a walking tour of Ancient Corinth. Learn about Greek mythology and the archaeological site’s historical significance as you take in top landmarks including the Temple of Apollo, the Spring of Periander and the magnificent Lechaion Road. This tour follows the footsteps of St. Paul in his second trip to Greece, mainly Athens and Ancient Corinth. Enjoy this private trip in a spacious Mercedes minivan with a professional, university-educated, driver who will let you know all about the history of St. Paul's stay in Greece.